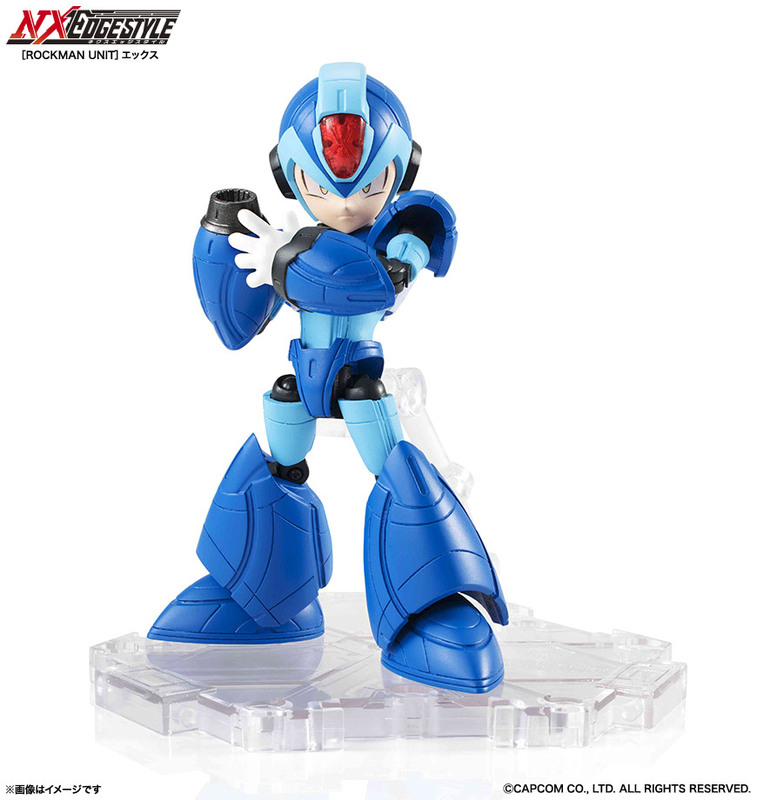 Haven't had enough X figures, have you? Brace yourself! First revealed last month, we now have a much better look at Bandai's upcoming NXEDGE Rockman X figure. Details are few and far between at the moment but according to this page, the figure will go on sale in August. It's small - about four inches - and comes with at least two accessories (dash part and buster effects). Pre-orders are not available at this time. More updates as they come in! This is..... interesting. Kinda almost guaranteed to be upstaged by the other version that are coming or already out. Let's hope the sentinel volnutt and, starforce don't come out around the same time. I'm not going to lie but it does look kinda cool, with all the crazy panel lines and such, but those hips though, kinda ruins it. This figure is like a dwarf version of the TruForce X because of the panel lines. Well if anything i'll probably just get it for the effect parts and throw the rest away in the trash. I couldn't get over his face and then after reading your comment I only realized what the hips were like. Not quite certain what they're trying to go with here. Not bad, but the edgy as hell nature of it makes X look like a DBZ character. Some of the pictures in the link show the hips looking a bit more natural in action poses, but they should have had the hips move back up into the waist like a lot of figures do these days... It really makes the figure look bad in this pose. I like it. It looks pretty cool!